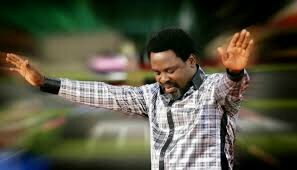 Certain stakeholders in the tourism industry on Sunday encouraged the Federal and Lagos State Governments to dissuade Pastor Temitope Joshua, generally known as, TB Joshua, from moving the Synagogue Church of All Nations (SCOAN) to Israel from Nigeria. They informed the News Agency of Nigeria that Nigeria will lose billions of naira to religious tourism if Temitope Joshua and SCOAN should make the plan true. NAN reports that TB Joshua, during one of his church services, lately declared that he was about to move to Israel from Ikotun, a suburb of Lagos. It was disclosed that TB Joshua was in Israel lately where he held meetings with the mayors of Jerusalem, Tiberia and the Jordan Valley. He was cited as saying that he was offered different facilities very close to the biblical site of the Sea of Galilee where he could organise meetings for international pilgrims. NAN also reports that SCOAN established in 1994 does not have another branch in Nigeria outside its international headquarters located in Ikotun. Mrs Ime Udo, the General Secretary of the Nigerian Association of Tour Operators (NANTA) told NAN that Nigeria would lose billions of naira from religious tourism revenue if SCOAN actualised its planned relocation to Israel. Udo said Joshua’s planned action would lead to a reduction in the human traffic of local and foreign religious tourists that normally patronised SCOAN. Udo said, “Religious obligations have become a fashionable trend all over the world as a means of expressing beliefs and faith in the ability of God to protect and guide mankind. “Religious practices both under the auspices of Christianity, Islam and traditional practices have in no small way contributed to the development of tourism in the world. “Christian pilgrimages to Israel have formed an economic platform for the empowerment of the localities and contributed to the Gross Domestic Product (GDP) of the country. “Also, Saudi Arabia has been benefiting immensely economically from many Islamic faithful who converge there twice annually on holy pilgrimage. “With these scenarios and many others around the world, it has become valid that religious tourism has become a source of economic revival to a country and its people, “she said. According to her, thousands of foreign religious tourists visit SCOAN monthly to worship and for other spiritual healings. She said that these tourists would fly into Nigeria; lodge in hotels, board commercial vehicles, patronise eateries and visit other tourists’ sites around the locality. Udo said that all these had been translating into huge revenue for the Nigeria economy. “The local community; hotel operators, food vendors and others around SCOAN must have benefitted from tourists. “SCOAN has, no doubt, contributed immensely to the tourism profile of Nigeria with several heads of government from various African countries that had visited there to seek spiritual restoration and advise from Pastor TB Joshua, ” she said. Udo advised the Federal and Lagos State Governments to encourage SCOAN to remain in Nigeria as part ways to develop our tourism sector. A member of SCOAN, Mrs Iyabo Emmanuel, said that she was in church service when their General Overseer, Pastor TB Joshua, announced to the members on the offer given to him by the Israeli Mayors. Mrs Emmanuel, popularly called “Iya’’(Mother) Synagogue, said that Pastor Joshua never said that he had agreed to such a proposal from the mayors. “I have been worshipping in SCOAN since 1994 when TB Joshua established it newly in Ikotun area. “I worked with TB Joshua for 15years before I resigned and ventured into selling of provisions. Then, I was the chef; head of canteen and bakery. “I am still a full-time member of the church and I will continue to worship there. I am one of those that had benefitted from the church,” she said. Emmanuel said that many residents and business owners would suffer if TB Joshua should relocate SCOAN from Ikotun. She said that majority of business owners around the area depended solely on the visitors to the church and they used to patronise facilities around the church. A hotel operator, Mrs Anthonia Chuks, told NAN that if the rumour that TB Joshua was relocating to Israel eventually turned to reality, the hospitality business in that area and the state would suffer and fold up. “Ninety–five per cent of guests that lodge in hotels in the community are international and local visitors outside Lagos and they are SCOAN members. “We have over 130 rooms and are always fully booked every weekend. “ We usually enjoy huge patronage from Fridays to Sundays weekly; and they are mostly SCOAN members from near and far,” she said. Similarly, Mr Solomon Oyelade, a car-hire operator, said that since the rumour of the planned relocation of the church to Israel, the patronage of cabs had reduced drastically. Oyelade said that in the past, he used to go to the Murtala Muhammed International Airport, Ikeja, Lagos seven times in a day to transport international passengers down to SCOAN. “But, since the incident of collapsed building in the church premises years back, the patronage of foreigners had reduced. “ With this present rumour of relocation, we hardly carry passengers from Airport two times a day. The patronage has reduced beyond expectations, “he said. Also, Mr Uche Maduako, a food vendor, appealed to TB Joshua not to accept such offer from the Israeli mayors. He said that behind every rumour there is an iota of truth. He also urged the Federal and the Lagos State Governments to support the continuing stay of TB Joshua in the country. “The government should make the country worth staying for him and ensure they support him in all ramifications,” he said. Maduako urged the government to renovate the bad roads around the church, adding that the condition of the roads was not encouraging. He said that the contributions and impacts of TB Joshua in that community could not be overemphasis. “The man of God has contributed immensely to the betterment of the community; employed thousands of graduates and non-graduates to work in the church and in other investments of the church.